With just 18 days until the Giants EP Launch, the drive to get tickets sold and get feet through the door is upon us. I’ve been saving a lot of video marketing collateral for just such an occasion, so expect to see a lot of content coming your way. This Saturday past, award winning illustrator Roger Williams (State of the Art Illustration) and I created a wall art mural to augment the Giants EP experience from not only a sonic one, but to a visual one as well! Somewhere between sweating our butts off and getting high off of spray-paint fumes, we shot the promo clip you’re about to see. What do you think of my latent TV presenting skills? 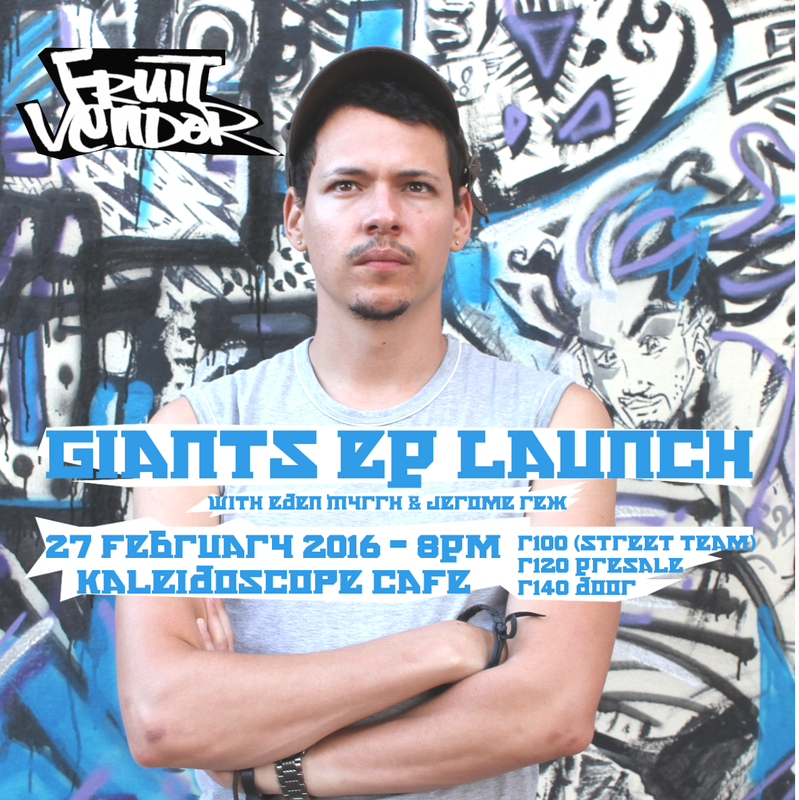 27th February at Kaleidoscope Cafe in Claremont. The show starts at 8pm! Featuring performances by the smokalicous Eden Myrrh(opening act, backing vocals and keyboards) and the formidable Jerome Rex (opening act and rhymes), underpinned by the solid accompaniment of drummer Jason Skippers, bassist Rosco Keenan Roman, guitar maestro Adrian Rogowski and turntablist DjHearin Aid! 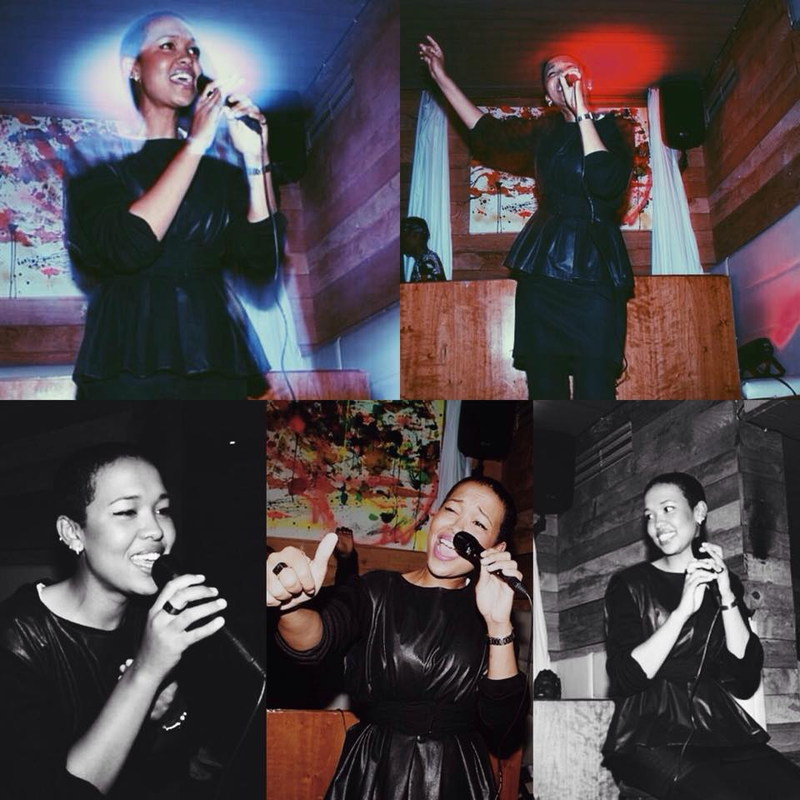 My featured hype-man is emcee The Route. Tickets are R100 (Fruit Vendor Street Team), R120 Pre-sale (buy direct from me or any of the band members) and R140 at the door.